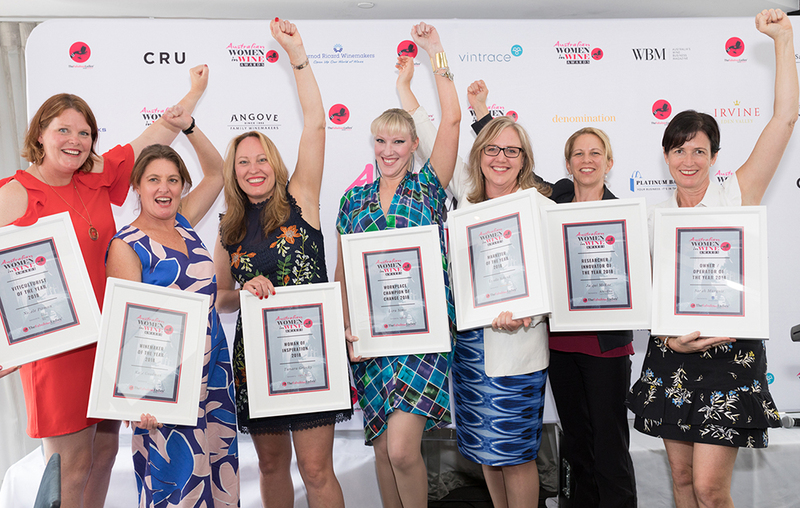 The winners of the 2018 Australian Women in Wine Awards were announced on Friday 16 November 2018 – at the largest ever gathering of Australian women in wine – in Sydney. From Sydney… to NEW YORK! The AWIWA also announced that, in partnership with Wine Australia, the 2019 Awards will be held in New York on Tuesday 17th September as part of Aussie Wine Month, which is set to be the largest Australian wine promotion ever held in the USA. Further information about this will follow in coming weeks. The Australian Women in Wine Awards would not be possible without the support of our individual award sponsors (as above) and partners – especially our Gold Partners: Pernod-Ricard Winemakers, Vintrace, Cru and Wine Business Magazine. (Winemaker of the Year, 2017) and Iain Riggs, Brokenwood (Workplace Champion of Change, 2016).